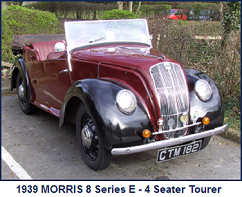 The formation of a Morris 8 Tourer Club (M8TC) was proposed, towards the end of 1959, by two enthusiasts who shared a common interest in pre-war Morris 8hp tourers (Morris Minors 1929-1934 and Morris Eights 1935-1939). Following an announcement of the formation of the club in the motoring press in January 1960, membership grew steadily. With the growth in membership, came the formation of regions, initially “South” and “Midlands & North” followed, in 1962 by “West”. It was in these very early years that “noggins” (regular, area based, meetings of members) and rallies became features of club activity; both of which have been perpetuated to the present day. The first London-Brighton Run, a somewhat ad-hoc affair and arranged at short notice, took place in January 1962 and attracted 20 cars. This run, albeit with variations of route and start & finish locations, has continued annually ever since. For many entrants, the run to and from the event far exceeds the challenge of the 60 mile run to the south coast. 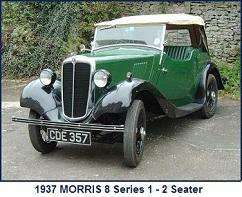 1962 also saw the first National Morris Rally, held at the Beaulieu Motor Museum. This has also become an annual feature, remaining at Beaulieu until conversion work in 1970, to create the National Motor Museum, resulted in a loss of the facility. Almost from the outset, there was pressure to extend the scope of the club to cover saloons. Such a proposal was made within months of the M8TC’s formation and rejected. 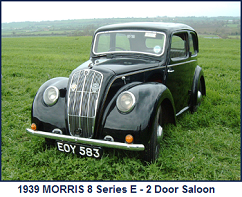 Despite this, the club subsequently relented and the in the summer of 1961 Morris Minor, but not Eight, saloons were admitted! 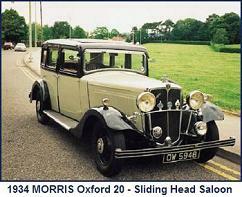 From 1964 the club granted associate membership to Morris Eight saloon owners. Pressure to extend the scope of vehicles covered by the M8TC continued, but was resisted until early 1967, when a separate “10/25 Register” was established under the umbrella of the M8TC. It was also at this time that Eight saloon owners were granted full membership of the increasingly inappropriately named M8TC! 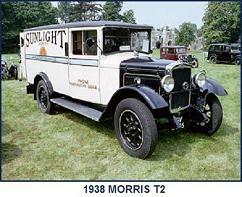 The “Morris Eight Tourer Club and Morris 10/25 Register” was a somewhat unwieldy name and in 1968 the name of “Morris Register” was adopted to embrace all of the vehicles covered by the club. Since those formative years, the structure and organisation of the Register has slowly evolved. The Regional structure continued to grow through the 1970’s and very early 80’s into that which is currently in place. The annual London to Brighton Run has evolved into the South Coast Run, reflecting the southerly drift of starting location from Central London (Queen Anne’s Gate), to Clapham Common, Mitcham Common, Merton Abbey Mills and recently Box Hill just north of Dorking and a compensating move of the finish from Brighton to the outskirts of Brighton and currently Newhaven (to compensate for the modified starts and maintain a run length of 60 miles). The National Rally, having been displaced from Beaulieu, moved to Stanford Hall, Leicestershire for many years and then to Thoresby Hall, Nottinghamshire. 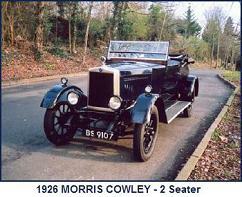 A Southern Rally, at Ardingly was also added to the list of annual events and was held for a number of years. 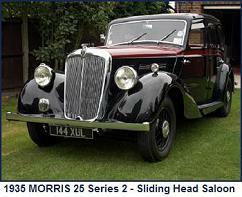 Today the club caters for all Morris vehicles (cars, van derivatives, and commercials) designed before 1940. 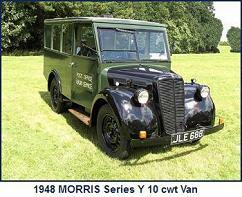 This covers vehicles that were in production from 1913 (Oxford) to 1953 (Series Z vans). To achieve these objects, the Register continues to organise a number of national events (and it’s Regions numerous local events), publishes a monthly magazine and maintains a comprehensive spares service. 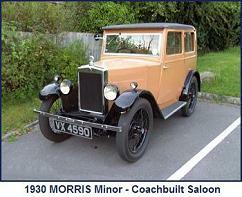 The Morris Register is a member of the Federation of British Historical Vehicle Clubs (FBHVC). The FBHVC aims to keep the use of old vehicles free from unnecessary restriction, by influencing MPs, lobbying Brussels (EU), talking to Civil Servants and Government Agencies. To celebrate 50 years of successful Morris motoring under the banner of the Morris Register and preceding M8TC, the club organised a number of events throughout the course of 2010. These were a mix of special arrangements at a number regular annual events, and bespoke events organised to add something extra to the 2010 celebrations. 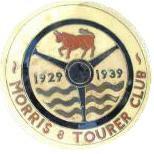 In 1976 the Morris Register established MoClub Ltd, a Private Company limited by shares to manage the assets of the Morris Register on behalf of the club. The shares were held by a number of nominated club members on behalf of the membership. 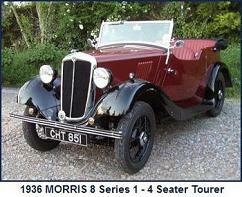 “The Pre 1940 Morris Register Limited”, is a Private Company, limited by guarantee and with no share capital. It was incorporated in August 2010 as a new company to act as successor to Moclub Ltd. From April 2011 it assumed both the role of administrator of the Club and custodian of members’ assets. The “Pre 1940” company is governed by the Companies Act 2006. 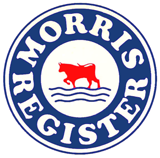 All members of the Morris Register are also members of the company. 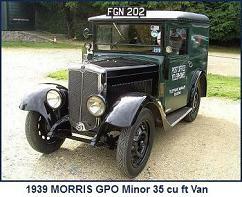 Along with other Morris vehicle clubs, the Morris Register participated in a number of events to celebrate the centenary of initial production of Morris Cars in 2013. 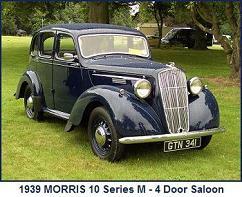 The 1935 model Morris Eight was announced August 1934 and introduced at the Motor Show in October of that year. 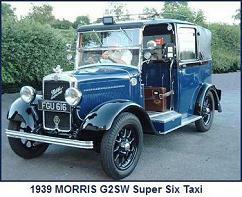 Seven model variants were offered, two open – a two seater and a four seat tourer, four saloons – two door or four door, with fixed or sliding heads and a 5cwt van. 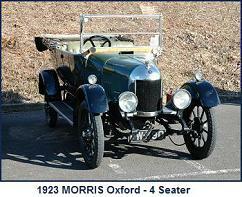 To mark the occasion, the Morris Register held a number of themed events throughout 2014. 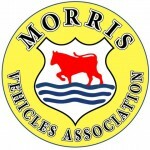 Building on the success of the collaboration between a number of clubs in supporting the Morris Centenary in 2013, a Morris Vehicles Association has been established and was formally launched at the NEC Classic Car Show in November 2014. 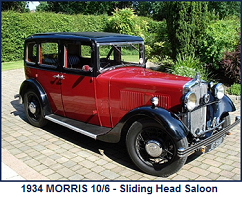 An Inaugural Morris Vehicles Association Rally, was held in August 2015 in conjunction with the Morris Register Annual Rally. The second rally to commemorate the 40th anniversary of the Morris Minor Owners Club (MMOC), was held in conjunction with the MMOC National Rally in June 2016. Thereafter a MVA rally is held anually, hosted by one of the MVA member clubs.